Even though Bitcoin seems to dominate blockchain news of late, many altcoin cryptocurrencies, like Stellar, have notably grown as well. In fact, with its price increase of about 41,900 percent in 2017, the cryptocurrency was a star performer last year. Stellar has perpetuated impressive performance so far in 2018 despite the overall cryptocurrency market’s trend of steep declines. Stellar has seen gains of 5.26% since the start of 2018 with a market cap of over $4 billion as of late March. Stellar is an open-source payment technology which shares a few features with Ripple such as founder, Jed McCaleb, who co-founded Ripple. Much like Ripple, Stellar is a payment platform connecting financial institutions which drastically reduce the cost and time required for cross-border transfers. Furthermore, both Stellar and Ripple used the same protocol initially. However, a 2014 fork in Stellar’s protocol resulted in the creation of the Stellar Consensus Protocol (SCP) which has one significant foundational difference. Whereas Ripple is a closed system, Stellar is open source. The two also have different customers. While Ripple works with established banking institutions and consortiums in order to streamline their cross-border transfer technology, Stellar is focused on developing markets with multiple use cases including money remittances and bank loan distribution. Stellar’s basic operation is similar to that of most decentralized payment technologies in that it runs a network of decentralized servers with a distributed ledger updated every 2 to 5 seconds among all nodes. 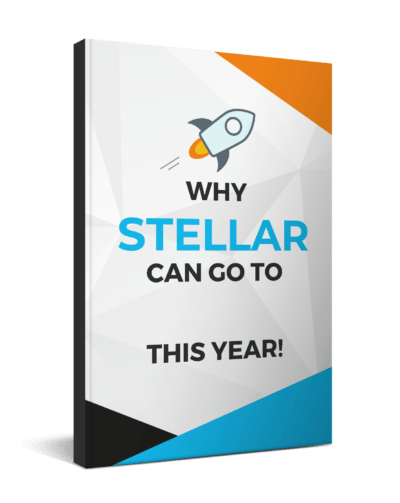 However, the most prominent distinguishing factor between Stellar and Bitcoin is its consensus protocol. Stellar’s consensus protocol does not rely on the entire miner network to approve transactions, but, instead, uses the Federated Byzantine Agreement (FBA) algorithm which enables faster transaction processing. The FBA relies on quorum slices, which are a portion of the network, to approve and validate a transaction, hence the faster speed. Each node in the Stellar network chooses another set of trustworthy nodes which approve a transaction, which is thereby considered approved by the overall network. The shortened process has made Stellar’s network so fast it is said to process up to 1,000 transactions per second. How Does Stellar Expedite Cross-Border Transfers? The traditional process for cross-border transfers, known as Nostro-Vostro (Italian for “ours-yours”), is extremely complicated because it requires domestic banks to maintain accounts in foreign jurisdictions using local currencies as well as correspondent banks in the original home country. The process is made that much more lengthy and involved as it ultimately demands the conversion of fiat currencies and reconciliation of bank accounts. In contrast, Stellar’s blockchain can shorten or even entirely eliminate the delays and complexity of cross-country transactions because its network enables simultaneous validation. Additionally, Stellar’s Lumens cryptocurrency can provide liquidity and further streamline the whole transfer process. Some industry experts speculate that, in the future, banks will use their own cryptocurrencies to facilitate such transfers. David Mazières, a Stanford University professor and SCP creator, described how the protocol has “modest” computing and financial requirements, thereby, enabling organizations with minimal IT budgets, such as nonprofits, to participate in its network. How Many Institutions Are Using Stellar’s Blockchain? Stellar entered the spotlight in October 2017 after its partnership with IBM was made public. This partnership entails the formation of multiple currency corridors in the South Pacific with a stated goal of processing up to 60 percent of all cross-border payments in the region, including countries like Australia, Fiji, and Tonga. The project hopes to facilitate connections between small businesses, non-profits, and local financial institutions to expedite commercial transactions. For example, using Stellar, a farmer in Samoa will now be able to conduct transactions with a buyer in Indonesia. In 2016, prominent technology consulting firm, Deloitte, also made public its partnership with Stellar to develop a payments app. At a conference in 2017, Stellar co-founder McCaleb announced 30 banks have signed up to use Stellar’s blockchain for cross-border transfers.